Amazon's smallest and least expensive Echo is the one most folks should start with — and for many folks it's all they'll need. Ed. Note: We first reviewed the Amazon Echo Dot in April 2016. 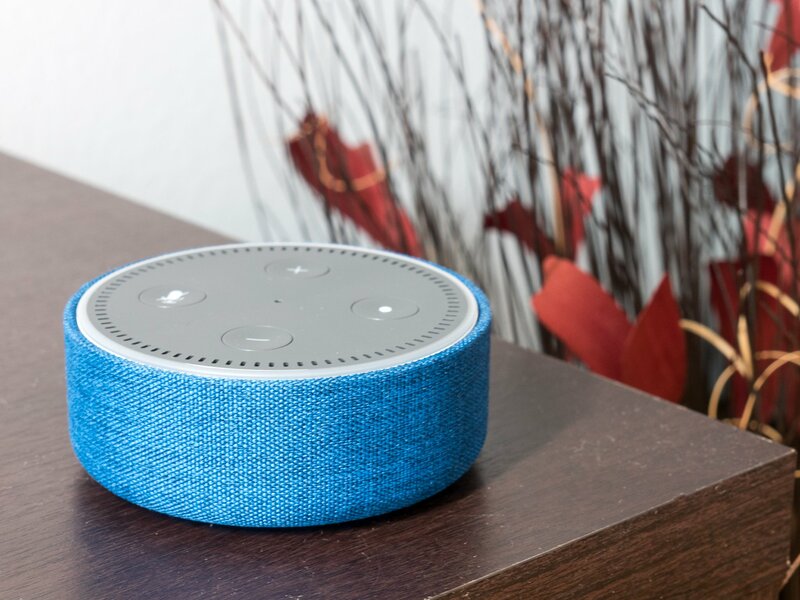 In that time it's undergone a hardware revision, and Alexa — the brains inside every Echo device — has continued to gain functionality. So we're taking a fresh look at the Echo Dot in the context of where it stands at this point in 2017. We're also taking a fresh look at the original Amazon Echo. Looking back at my original Amazon Echo Dot review headline, I was either being remarkably prescient (OK, maybe not that remarkable), or trying to be a little too clever. But in any event, I was right. An inch and a half of Alexa may be all you need. If you need any more proof, look no further than the sheer number of Echo Dots (or is it Echoes Dot?) I've purchased. I've got a three in my home. Another in the office. Gave one to my parents and my in-laws this past Christmas. If that's not a rousing endorsement, I don't know what is. But let's start at the beginning. What is the Echo Dot? It's a very simple connected speaker, close to an oversized hockey puck at 3 inches in diameter, and about 1.3 inches high. It has Wifi to connect to the Internet, and Bluetooth to connect to anything else. The whole thing's still powered by Micro-USB. For most folks that's probably just fine (and it still comes with its own power cable). But for those of us who are trying to cast aside Micro-USB and go all-in on USB-C, that'll be something to hope for in the next-gen Echo Dot. Aside from switching power cables (and that's admittedly a small complaint) I'd love to see Amazon class up the overall design of the Echo Dot a bit for the next release. We've seen how much a little bit of curvature can do with the Eufy Genie, which is in most every other way an inferior Echo Dot. But the expanded waist and tapered top look more sophisticated. While I said that Alexa herself — the software underpinnings that allow the Echo Dot to do what it does — has grown a bit in the year since the Echo Dot was first released, the way you talk to her hasn't really changed. Say her name, and she appears. (Unless you've changed it to "Computer," like this guy did.) Ask her a question, and she answers. Maybe. (Amazon still lags behind Google when it comes to the depth of knowledge.) Ask her to do something (nicely, folks!) and she does it, providing that she's got the proper Alexa Skill enabled, and your accounts are all synced up. Amazon did the Dot first, and it did it right. What more do we need than a better-looking Dot? That's still the biggest barrier to entry for a lot of this — installing Skills and connecting accounts. It's not insurmountable, and for the more nerdy among us (hi, I'm Phil, nice to meetcha) it's a normal part of online life. But for, say, my parents, who are pushing 70? It's a little bit of a leap. What can Amazon do about that? I don't know. Probably the biggest change since our first Echo Dot review is the price. The second-generation model came with a pretty steep discount, dropping the Dot from $90 to $50. And it's not uncommon to find it on sale for $40. That is what's helped make the Echo Dot a true impulse buy. It's what removed any reservation from my voice (and my typing style, I suppose) when I say "Just buy one." At the worst you have a $50 alarm clock and timer that can also read you the headlines and play music and do all kinds of other stuff. A ridiculous amount of stuff for $50, really. And that's before you start adding on other Alexa Skills, like controlling lights and sprinklers and pretty much anything else anyone wants to add. The Echo Dot is still a ridiculously good value. If you don't want to wait for Amazon to redesign the Echo Dot before you can get one that looks better, maybe check this out. Amazon sells $10 cases that the Dot drops into, making it look not so much like a glossy plastic hockey puck and more like, erm, a glossy plastic hockey puck that's inside a more stylish case. Fabric isn't bad, and leather is way cool.